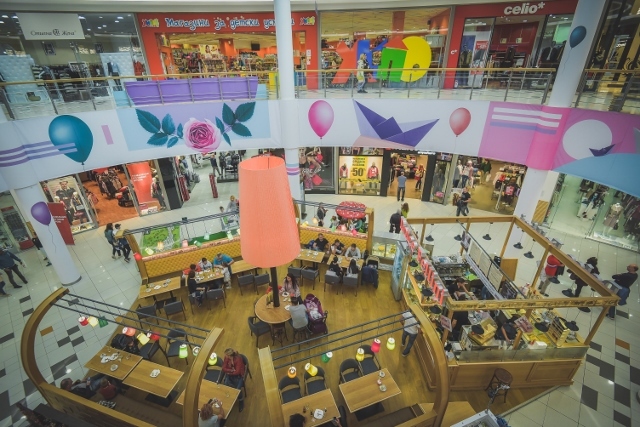 Mall Plovdiv is the first modern shopping and entertaining center in Plovdiv region. There are more than 130 units offering fashion, entertainment, food & beverages, services and others. The variety offered to customers is wide - 65% of the tenant mix are international brands, followed by 34% national and 4% precisely selected local shops (calc. based on % of the total GLA). 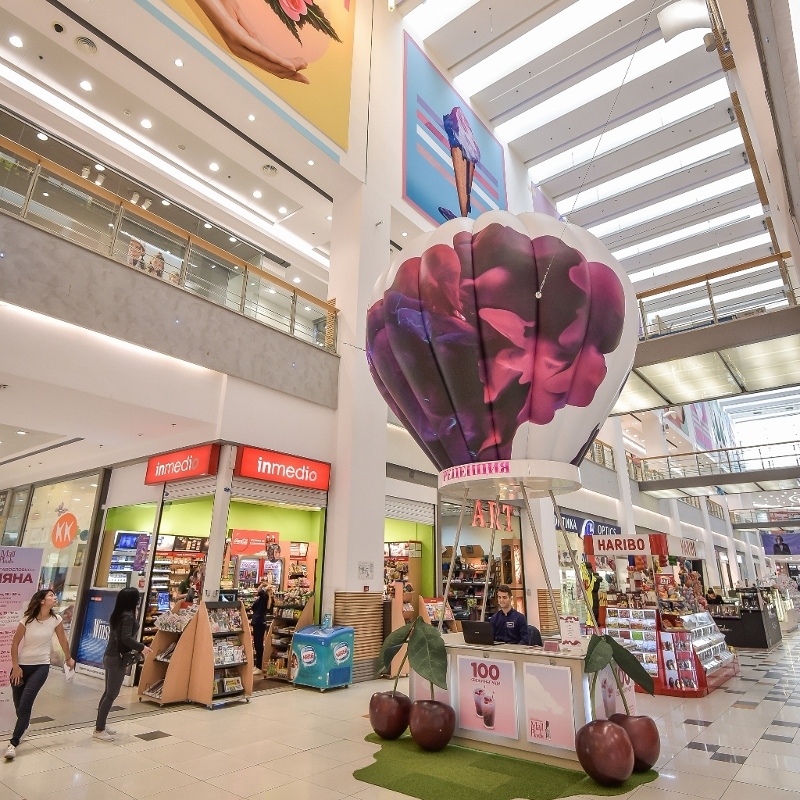 Since its opening in March 2009 Mall Plovdiv inspires, excites and attracts visitors from Plovdiv and the region while changing forever the way they go shopping and spend their leisure time. 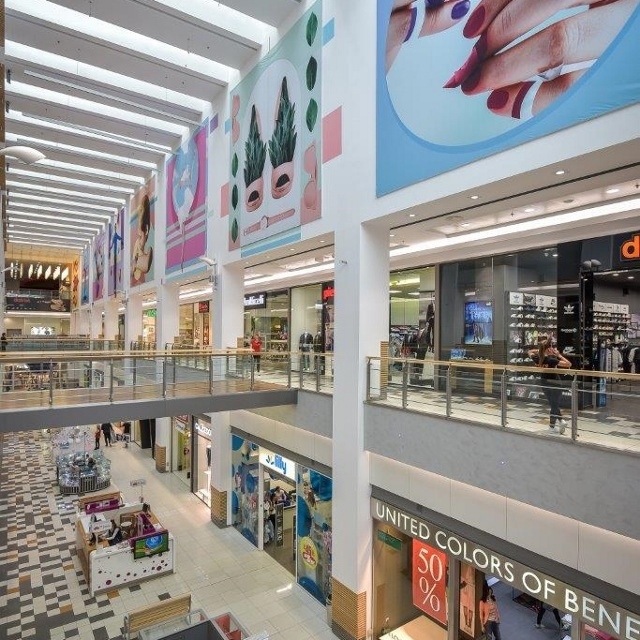 Situated in the greenest region of Plovdiv, Mall Plovdiv strives to build a new customer service culture. 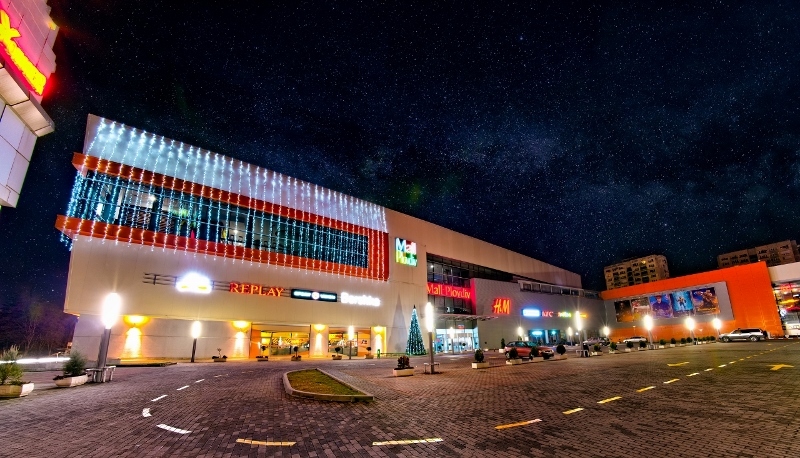 The mission of the shopping center is to predispose its clients to feel special. The easy access, simple design and overflowing daylight make the feeling of a natural walk and comfort of a well-known place. H&M, bershka, New Yorker, Tom Tailor, Benetton, Kenvelo, Tally Weijl, US Polo ASSN, Replay, Lee Cooper, Calzedonia, Triumph, Swarovski, Pandora, Thomas Sabo, Nike, Adidas, Okaidi, Mayoral, Deichmann, Samsonite/American Tourister. In multibrands shops clients can find also: G-star, Mason Scotch, Pepe Jeans, Liu Jo, Boss, Guess, CK, Michael Kors, Diesel, Superdry, Miss Sixty, Scotch & Soda, Ted Baker, Armani Jeans, UGG, O bag, RayBan, Converse, Lacoste, Tag Hauer, Tissot, Casio and many more.